There are still many myths about rescue dogs. I’m glad to say a lot of it is ill founded and rescue dogs should be seen as dogs that simply haven’t found the right home yet. In my experience, a lot of dogs in rescue are there due to their owners not realising what they were getting into and couldn’t handle the responsibility. Some reasons why people gave up their dogs are most straight forward – people have allergies, welcome a baby into the world, left the country, etc. The reasons why dogs end up in rescue centres can be summed up quite simply: a lot of the time, wrong breed, wrong owner. Rescue dogs are just like any other dog, they are lucky to have been picked up by a rescue centre and now are awaiting their forever home. Are you actually ready to give that forever home? Answer these questions truthfully. Having a dog is a wonderful thing, but it is also a large time commitment – there are walks, play, providing enrichment, grooming and vet visits. You need to be prepared to allocate this time to your dog, and this will also mean your dog helps you live a less stressful life rather than more stressful. Speaking of vet visits: dogs are not that cheap. You have to think about insurance, food, equipment (collar, lead, harness), medicine (simple flea, worming and vaccinations), dog walkers/sitters, toys. Use this list and do a bit of research to come up with a rough monthly estimate, add a bit more on and try to see if you can actually afford a dog. Is your whole family on board? Are there any allergies? Are you planning to have children? If you are getting the dog for children, are you prepared for the responsibilities placed on your shoulders when they “get bored” or have to go to school? Have a lengthy discussion with all members of the family and make sure this is something everyone wants to do. Are you away a lot? If you travel a lot, or like to have long days out, have you thought about who is going to look after the dog when you are not there. If you are planning to bring your dog on your holidays, think about the restrictions on where you can go and where you can stay. Going on holiday with your dog can also be such a wonderful experience. Do you own your own home? If not, then you need to consider if you are allowed to bring a dog home, check with your landlord or freeholder first to ensure there will not be any issues. If you are planning to take the dog to work with you, you need to ensure that your work is happy with this and they fully understand the implications like other people having allergies, etc. You don’t want to get a dog and then a few days later, you are being told it is not working out. If you work long hours, ensure you look into local dog walkers/sitters/ day care and can afford it. Good rescue centres will ask you about all of the above and, if not convinced you can care for one of their dogs, they will turn you away. So, it is good to be prepared. Did you consider all the above questions and are saying an emphatic “yes” to adopting a dog? Great! You are getting a rescue dog, but need to ensure you are getting one from a reputable source. These days, it is easier than ever to get your hands on a dog, you only need to look on Google, Facebook or Gumtree to see. I would, however, warn against getting a dog this way, because you can’t be sure of the information you are being told. How can you verify the dog’s history, medical or behaviour, and what about the real reason they are giving the dog up? Going through a reputable organisation is a safer, surer way to go. It should feel like you are being interrogated before being allowed to adopt a dog. Remember, you are going to have this dog with you for 10-15 years potentially, so this is not something to be taken lightly. When visiting to see the dog, please take the whole family with you so everyone can interact with the dog and the dog can interact with all family members. Take things slow, allow the dog to come up to you when they are ready and if you have young children, ensure they are not chasing the dog or putting the dog under pressure. Many rescues will insist on more than one visit. Thank you for getting this far and hopefully that means you are now ready to adopt a dog, adopting a dog is a wonderful thing to do and is giving a dog a second chance. 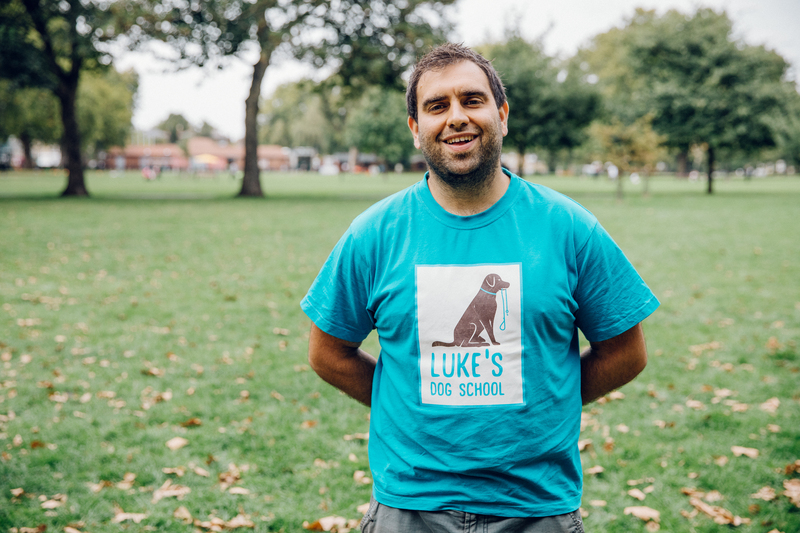 Check back on Wunderdog regularly for Luke’s upcoming series on preparing for your new dog, basic training and body language. We’d love to hear from you, so please get in touch or post below.